Not a true store fixture, this Collectable Baseball Bat Holder is posted only for comparison to the mass merchandising variety. In a Sports boutique environment, there many be times when you might want to up-sell or focus attention on high-appeal items. 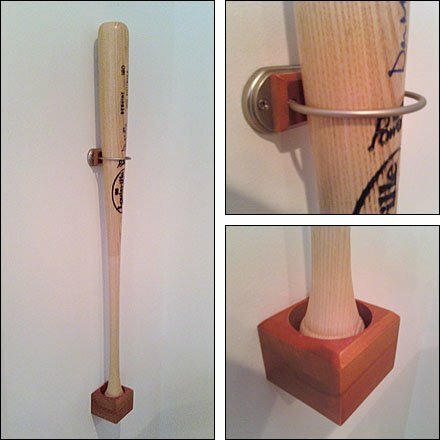 Then again you may need to merchandise Collectable Bat Holders themselves. And what better way than to show one in use.